Dubai property... strong rally in price growth. 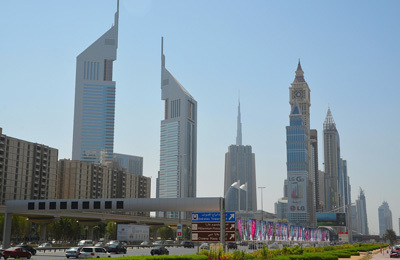 As real estate asset prices in Dubai stabilise and start to trend lower in certain areas, the emirate has entered the 'new normal' with investors beginning to hunt for stable rental returns, a report said. Historically, the greatest price appreciation has been occurred in the larger bedroom sizes (such as the three-bedroom residences), added the research by Reidin, a leading real estate information company focusing on emerging markets. However, as prices start stabilising, a price growth compression begins within the unit sizes, the report said. “In addition, we have seen a strong rally in price growth of mid-income communities in the last year compared to trophy communities, which has not been the case historically,” the report highlighted. An analysis of the rental yields by unit sizes across monitored areas shows an inverse relationship between unit sizes and yields; the higher the unit size, the lower the yields. This trend is empirically observed in most real estate markets. Market trends recently indicate that investors' buying pattern are changing in order to account for the larger sizes as owner-occupiers become a more prominent force in the market. A comparison between the prices and the rental growth rates reveals that prices outperformed in the last four years by 15 per cent, resulting in a yield compression across the board. The two-bedroom units have the least gap between the rent and the growth, whereas studios have the largest gap. This indicates that the latter appears to be out-priced sizes across the board, while both investors and developers will equally underperform serving to this area. “As the market matures, we opine that the demand for the two and three-bedroom units will relatively be larger than the historical norms, imitating trends in other developed economies,” the report said.